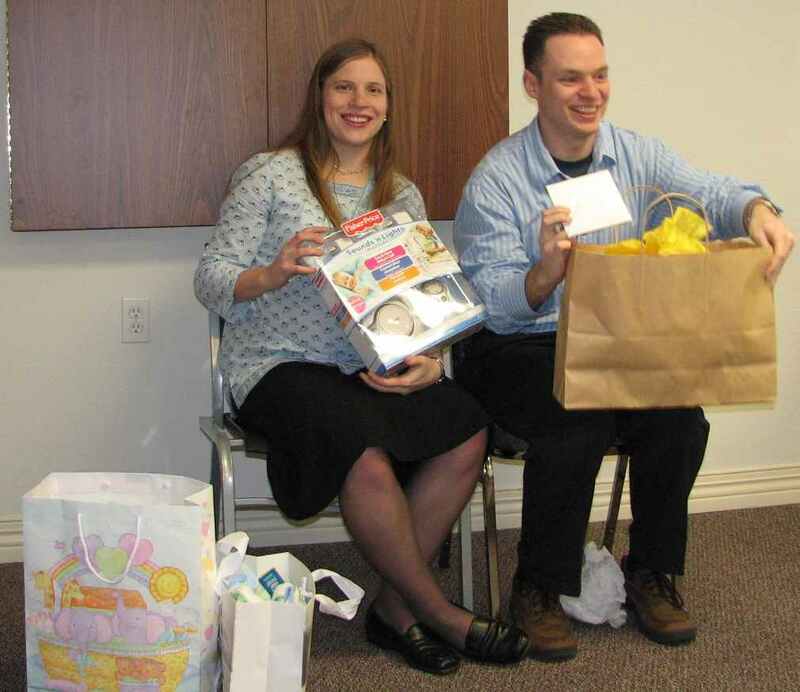 Today was my very first baby shower! It was hosted by our Sunday school class as a after church fellowship type event including everyones kids! I think they wanted to help us see what we were getting into. It was fun to have a little more time to get to know some of the people in our class and it was very neat to see them bless us even though we’ve barely been members for a month! 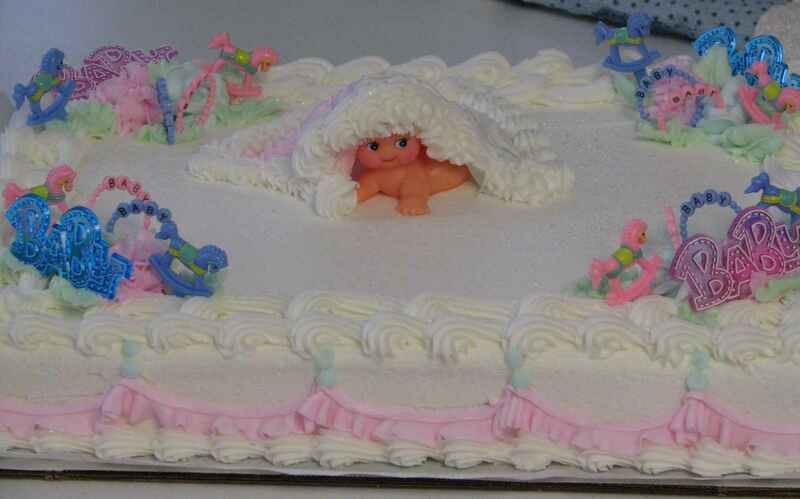 There was a really cute little cake for everyone to enjoy (especially the kids!) I don’t know where it came from but it’s one of the best ones I’ve tasted! We thought the little baby was really cute. We opened gifts and admired the cute stuff! 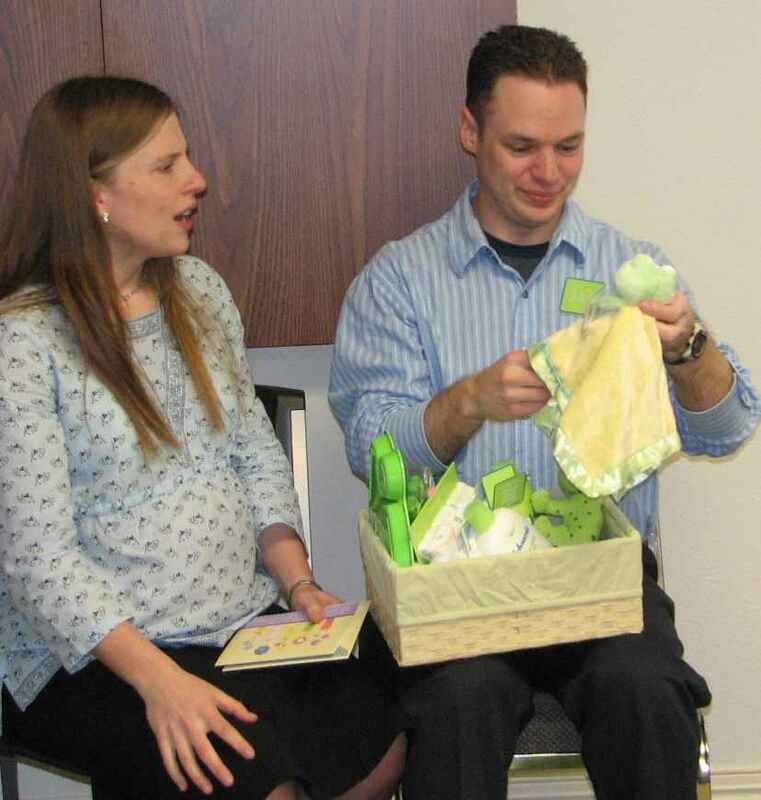 I think baby showers are a lot more fun than wedding showers – every thing is just so cute! The frog stuff is from the pastors wife – she remembered our pictures from when we had them over for dinner! We also got several other frog outfits and a little frog bathrobe….it’ll be hard for this kid to outgrow the nickname! Just as this monitor will let you hear your child, parenthood gives you a special understanding of your relationship with God. Today was just another neat reminder of how special a new life is…and how much closer that life is to entering into the world! Only 5 weeks!